It’s a month since Cyclone Idai, described as one of the worst-weather-related disasters in Southern Africa, hit Mozambique. The official death toll is at 603 people, with over 70,000 displaced people living in 69 temporary sites. The flood waters are beginning to recede, but the need has not. One-month on, more than 1 million people have been reached with emergency assistance. But, international communities need to continue scaling-up operations and support organisations on the ground to prevent further loss of life or permanent, scarring damage to livelihoods, land and lives. Both, emergency aid and long-term development plans are needed. 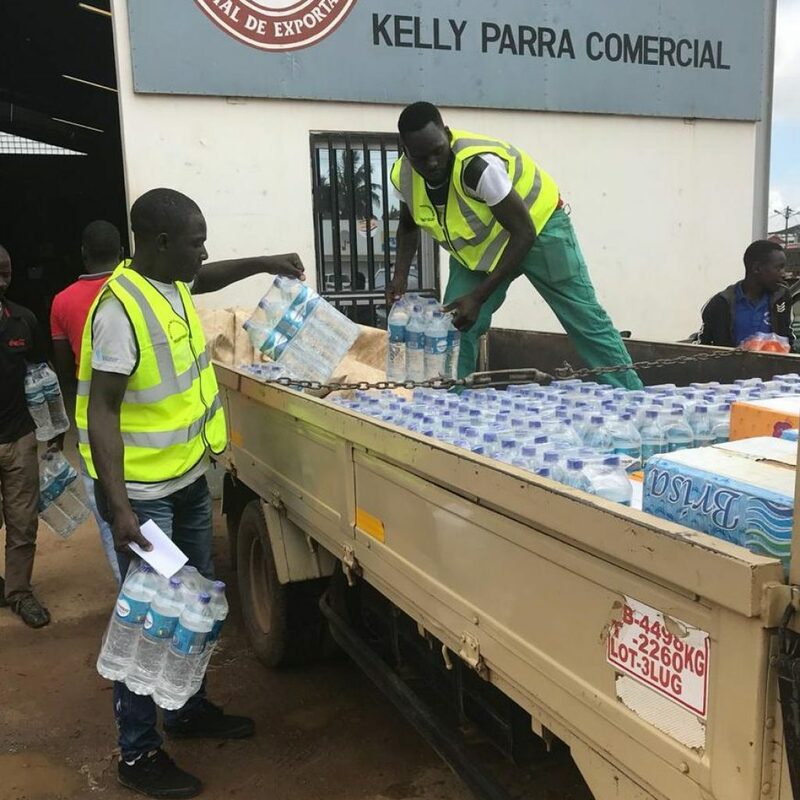 Since we diverted funds to support communities affected by the disaster, Josef and the team have handed out over 950 cases of bottled water, 300 packs of sanitary towels, 2000 cups and 4000 bars of soap. They are working closely with the Rotary Club of Chimoio to identify communities at risk and find out what is needed, and where. 29,000 hectares of agricultural land were ruined by the floods, wiping out ready-to-harvest crops and limited financial resource means buying in food is impossible. Rotarian Nela (pictured) told Clare that many organisations are delivering food in Dombe. “We decided to add buckets, seeds, nails and holes, mosquito nets. So they can restart their fields and rebuild their homes.” Distributing these tools means farmers can begin to grow food supplies for the future, and families can return to their villages, rather than sheltering in tents. WATSAN Director Blessing is also focused on repairing water points, so access to safe water is permanent once again. Although many of the roads have been destroyed or restricted by trees and other washed-up debri, the roads to Beira from Dombe are open. He was able to pick up water quality testing kits and materials to begin water point repair. He confirmed that 2 water points installed last year have been washed away, but knows the number may be higher as he hasn’t yet been able to reach all the 2018 projects. The United Nations ONCHA 7/4/19 reports that there has been an increase in women-headed households as a result of the disaster, having lost the earner of the family they are vulnerable and at risk. We are targeting communities in remote areas who otherwise might not get the assistance, especially those who are vulnerable, to reduce dependency and set up long term solutions so they can regain control over their lives. Staying healthy, rebuilding houses, planting crops: these are the goals we want to help people achieve after the devastation caused by Cyclone Idai. Save the Children has reported that children affected are showing severe signs of psychological stress, so rebuilding community spaces like schools is essential, as a safe space for children. For some normality and to process what they’ve experienced over the past month. Please keep donating, together we can help families access basic emergency aid first, and work with local networks and councils to support long term development plans. If you are interested in supporting the repair of a water point in Dombe, please get in touch, either at beth@villagewater.org or 01743 241563. Blessing, Josef and the WATSAN team are continuing to distribute aid to communities in Dombe, as a result of your donations. Most families have travelled to nearby schools as they are the only buildings that are still standing with any basic access to water or sanitation left. There is a pump at Providence School, however as Josef explains in the video, it is meant to be used by around 300 people and there are currently 900 families trying to pump water. Normal life has come to a stand still as people are trying to cope with the devastating impacts of the cyclone. While the team are handing out basic essentials to stay healthy – water, soap, sanitary products and working with relief organisations to co-ordinate food distribution, children have stopped going to school as they have become accommodation centres for thousands. "It was pretty scary when I arrived. Broken flooded houses on the road, trees everywhere, the roads were broken and blocked. For me, it was 'I haven't got a phone or any way to contact people', and it was a bit scary. But, when you saw what other people are dealing with... people on the side of the road. People trying to climb up the sides of broken bridges. They've got nothing but the clothes on their back. You just can't imagine it." Go to the BBC Radio Shropshire website to listen to Clare’s interview in full on the Eric Smith and Clare Ashford Show. The team have handed over the first consignment of water, menstrual pads and soap! Thank you to everyone who made this possible. As thousands of people are living in such cramped conditions, like the 1247 people living in Maguina Primary School, safe water and sanitary supplies are vital to helping prevent outbreaks of disease. Almost the whole population of Dombe have had their fields and crops swept away. Maize that had been stored in silos has got wet and started to rot. Blessing said the situation is desperate, “there are two young children who’ve already been taken to hospital due to acute malnutrition”. Some families are eating the rotten food as there are simply no other options. They have also lost identification documents, making it difficult for them to access banking services. Access to electricity and mobile communications is still a challenge making it difficult for some to access mobile money accounts so that they can buy food. ReliefWeb reports that food prices have raised almost 100% in some affected areas. Josef from WATSAN Mozambique talks about the impact on food security (right) that communities will face as a result of the Cyclone. The aftermath of the Cyclone is desperate and heartbreaking for all affected. But with your support we are helping families access basic essentials they need to survive. Thank you. There are few areas in Mozambique that haven’t be touched by the devastation of Cyclone Idai. Whilst larger aid agencies focus on rescue and repair in port city Beira, there are fears that smaller, rural communities are going to be left behind. WATSAN are in Dombe region, in Manica Province. Blessing says there are 1247 people currently living in Maguina Primary School. Their homes have been completely destroyed by the floods. 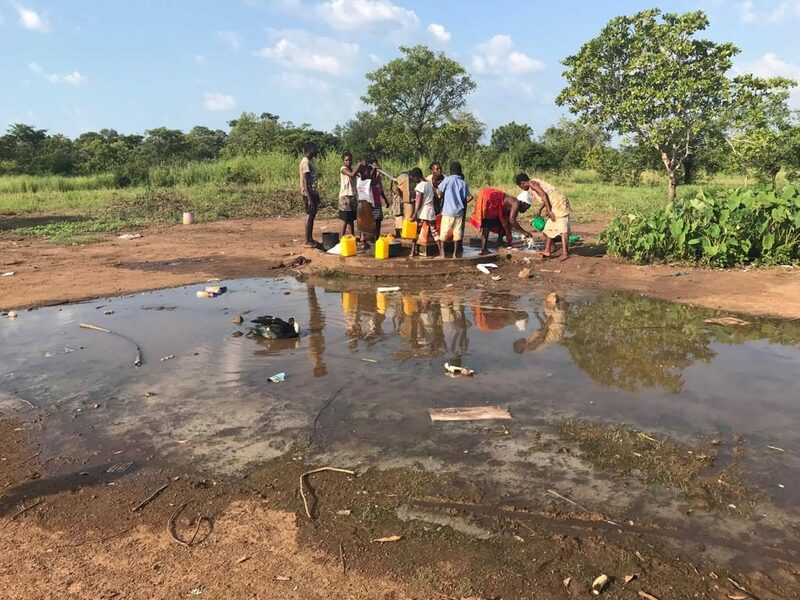 They don’t have access to sufficient clean water as there is only one well at the school, which is already under pressure and breaking down from the sheer amount of people using it. “They have 2 first aid kits which is not enough for the number of people and the team is not trained to deal with possible cholera or malaria outbreak. The death toll in Dombe has now reached 141, and more than 60 are missing. More than 10,000 people have had their homes destroyed and a third are staying at accommodation centres, while some have gone back to their original homesteads and tried to fix them up as best they can. Some are living with friends and relatives. There has been a huge response to the appeal over the weekend. Thank you to everyone who has donated so far. When a disaster of this scale happens getting urgent supplies like clean water to the people most at need is essential. Clare visited a camp, one of 4 in Chimoio town, located at Trangapasso School. 213 people are camping in 13 tents and classrooms. 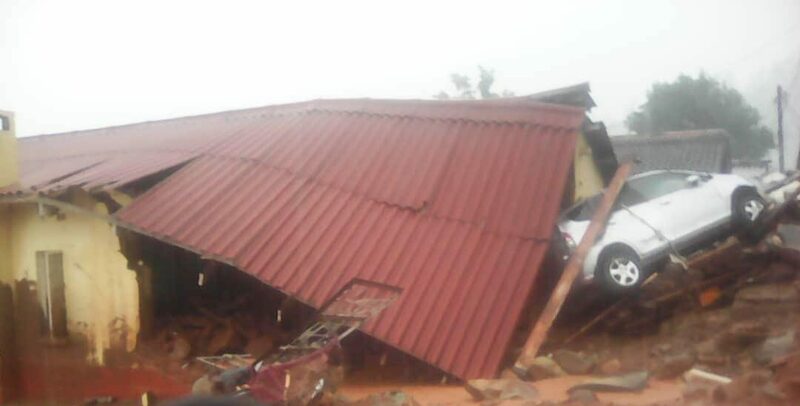 The INGSS – National Institute for Disaster Relief – is providing food (nsima and beans) and there is treated water – but not cups as everything was lost – and houses have been completely washed away. There are 3 loos at the school. Close contact and lack of water and sanitation is why cholera is a real risk. Everyone is waiting for a personal tent that they can take back to their home but it will be a long time. 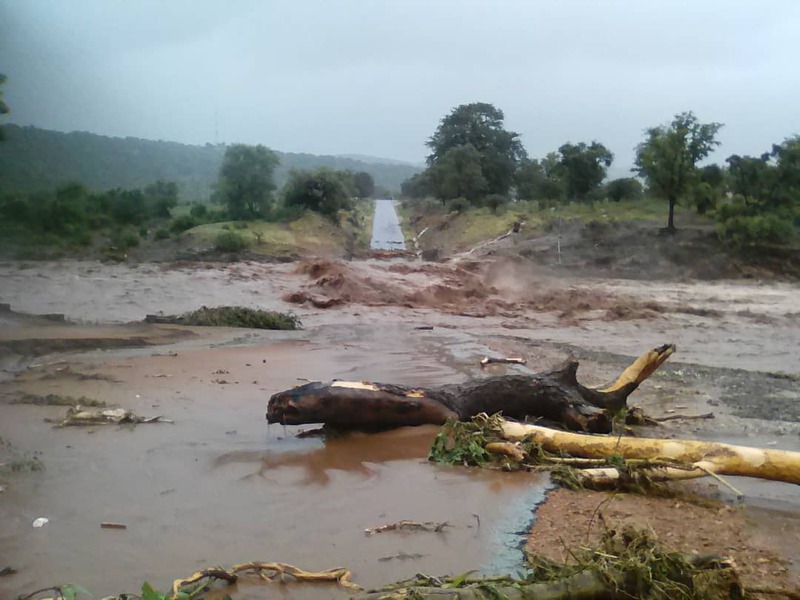 The situation in Dombe, in Sussundenga is much worse, “it’s been hit 10 times worse than Chimoio” Clare said. Blessing and his team have been working tirelessly to help and met with Jemusse the head of Sussundenga District to help co-ordinate distribution of drinking water, soap and other necessities to the people living there. The images on the right show the community of Matarara, most of who lost everything. Blessing has already visited the community to give out blankets. Thank you, your donations are making a real and immediate difference. It’s now being called one of the worst natural disasters to hit the Southern hemisphere. Although the cyclone hit over a week ago, aid agencies are warning that the disaster is getting worse. Many rescue and relief efforts are based in Beira, where the cyclone made landfall, but the BBC reports that the communities inland, such as Manica Province, are still trapped on rooftops with no food or water. The worst is still to come a report reads in Africa’s Mail & Guardian. Read it in full on Relief Web here. Clare had a meeting with Tomas Jemusse – Director of Sussundenga council around 80km from the town of Dombe (130 km from Chimoio). She said “It is really bad in Dombe – 67 are dead now and they are still rescuing people. They only know as the governors helicopter has taken photos, so can’t be sure of numbers. There are 5 camps already set up that they know with at least 4,000 people. There’s a real risk of cholera and diarrhoea as time goes on”. While many big aid agencies are focused on rescue, our partners WATSAN are on the ground and ready to get aid to people who need it now. Clare and Blessing have also met with Chimoio Rotary Club to discuss what can be done. Chimoio Rotary Club will work with WATSAN to purchase the items needed and members of the club will accompany WATSAN to the distribution centres. “Chimoio town is OK to move around. There are 1,600 people camping in 3 schools as houses destroyed but roads are passable and electricity/water supplies and phone coverage is improving. Within 2 km of the town it is a totally different matter. On Wednesday, Blessing, the programme manager for our local partner WATSAN travelled 10 hours to get to Dombe and found both drilling teams safe and he took them back to their homes. After having no contact with them since the cyclone hit, this is brilliant news. In terms of our projects: we will not be able to access the 22 communities for 3-4 weeks. After this Blessing will visit all sites to assess damages, he estimates that at least 3 of the completed wells will have been swept away, due to their location. But the main thing for now is that Clare, our partners, drillers and their teams are safe. 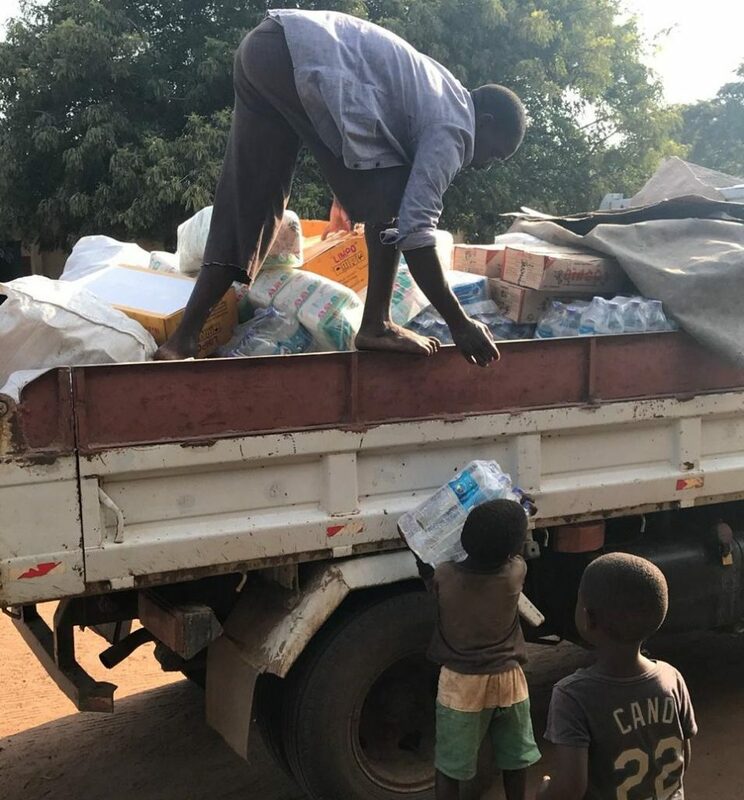 Currently both still on the ground in Chimoio, Blessing and his team are working with district authorities and Rotary Clubs to start immediate distribution of essential resources: bottled water, water purification tablets, sanitary towels, soap. The National Institute for Disaster Management is distributing food and tents. Due to the cramped camp conditions, flood waters and continuing rains the risks of deadly waterborne diseases like cholera are increasing, so getting these items out to families is essential. The teams will also be providing hygiene education sessions that teach people how to prevent diseases and how to stop them spreading, even in the dire conditions. Once it is safe to do so they will repair community water-points that have been washed away by the cyclone, and any remaining funds will go towards repairing these broken water pumps. Please donate what you can to the appeal. As you may have heard, Tropical Cyclone Idai hit Mozambique last week, leaving a trail of devastation in its wake. The storm made landfall near the port city of Beira on Thursday. Our Director Clare was already midway through her journey to Mozambique, as part of a planned meet with local partners, when warnings about the cyclone hit. Clare is fine, she arrived in Chimoio in Manica Province, which is in central Mozambique on Monday. Thankfully she missed the cyclone itself which hit the mainland last Thursday. Heavy rains have caused severe flooding across Manica province, which was the focus of all our 22 community-based projects in 2018. Water levels are expected to continue to rise. At this stage we are not sure if the communities are safe and if there has been damage to the water-points. Clare is working with our local partner and will be undertaking a full check of all our projects as soon as access is safely possible. Initial information suggests that it might be possible to reach some of these communities this week, whilst for others it might be a few weeks as the state of roads and bridges are currently unknown. 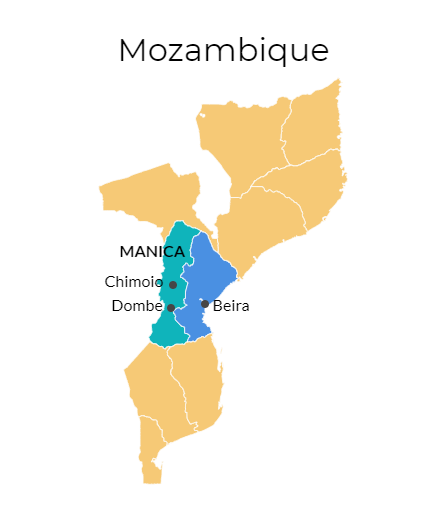 Currently what we do know: is that all the staff of WATSAN Mozambique are safe, but that they’ve been out of contact with the trained well diggers for a few days and who were working in Dombe last week. 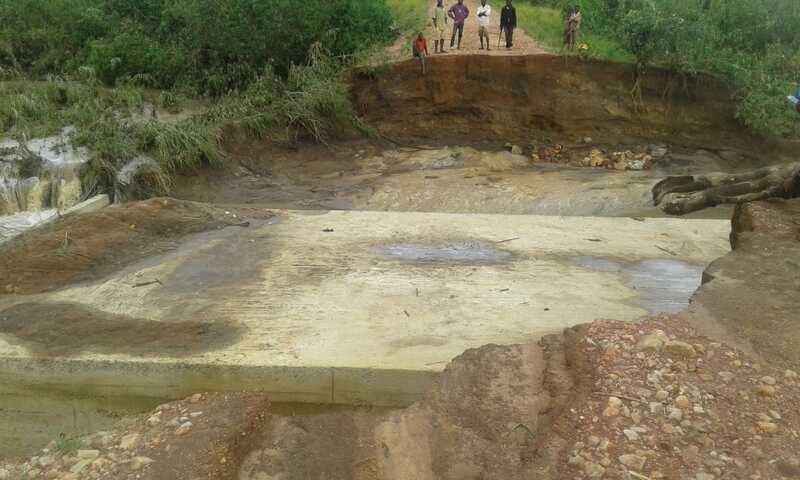 A bridge has reportedly collapsed isolating Dombe in Sussundenga from the rest of Manica province, but further information is not yet available. Clare will be updating us as and when she can. Thank you to everyone who’s got in touch. Read BBC updates on their website here. Several aid agencies are assisting government efforts in Mozambique in the search and rescue operations and in the distribution of food aid. Thoughts and prayers go out to all affected. They are working closely with the Rotary Club of Chimoio to identify communities at risk and find out what is needed, and where. 29,000 hectares of agricultural land were ruined by the floods, wiping out ready-to-harvest crops and limited financial resource means buying in food is impossible. Rotarian Nela (pictured below) told Clare that many organisations are delivering food in Dombe. “We decided to add buckets, seeds, nails and holes, mosquito nets. So they can restart their fields and rebuild their homes.” Distributing these tools means farmers can begin to grow food supplies for the future, and families can return to their villages, rather than sheltering in tents. With thousands of people living in areas submerged by floods, and extensive damage to key roads and bridges, access to services and basic supplies has been compromised. The images below show the community of Matarara, most of who lost everything. Blessing has already visited the community to give out blankets. As you may have heard, Tropical Cyclone Idai hit Mozambique last Thursday (14th March) leaving a trail of devastation in its wake.